For the first time ever in WA, drone technology is being used to monitor how much crabbing is happening and where. WA is famous for its great fishing spots with different species. 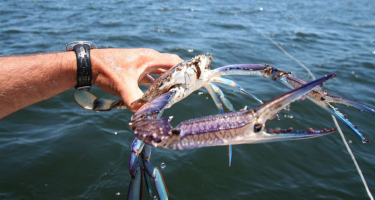 One of the most popular species for recreational fishers is the blue swimmer crab. Between 36 and 50 tonnes of these crabs are caught every year in WA by recreational crabbing, according to a 2017 report. 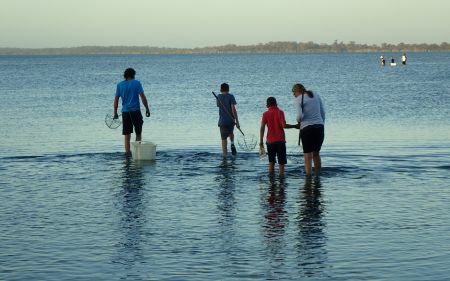 To ensure West Aussies can sustainably continue crabbing for many years to come, the Department of Primary Industries and Regional Development (DPIRD) has turned to technology for help. 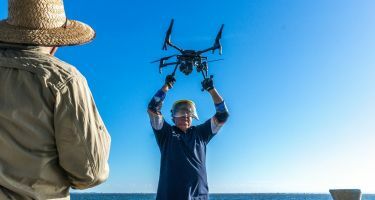 On 1 March 2018, DPIRD launched a drone that will assist in monitoring recreational crabbing over the next 12 months. To keep the blue swimmer crab fishery viable, the WA Government has strict rules in place. These include rules about when crabbing is allowed and how many crabs you can collect. 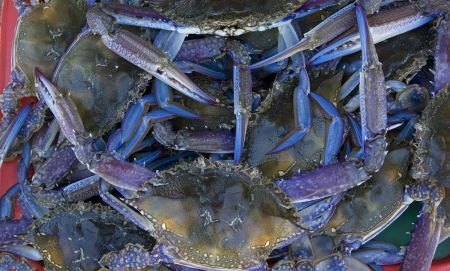 So far, two of the Peel-Harvey Estuarine Fisheries—the blue swimmer crabs and sea mullet fisheries—have followed these rules successfully. They were even awarded Marine Stewardship Council accreditation in 2016. 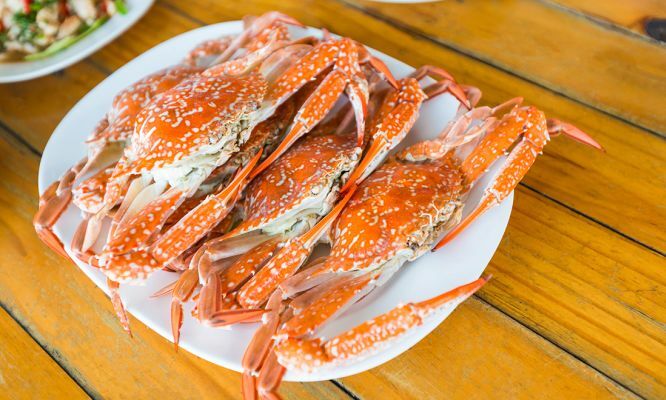 This world-class certification means that crab harvesting is being done in a fully sustainable manner. However, to maintain this accreditation, the fishery needs to comply with additional requirements, which are checked annually. Cameron explains that the use of recreational scoop-net crab fishing needs to be monitored. This is because it may affect the wellbeing of habitats of wading and migratory birds that use the protected wetlands found in the area. What better way to see what’s going on below than from above? Traditionally, recreational fishing activities are monitored with thermal-imaging cameras fixed at a few specific crabbing hotspots. But now, with a new drone for monitoring, we’ll receive information across the whole region. Basically, this drone will hover over the estuary, constantly capturing images of the fishing activity in the area, Cameron explains. 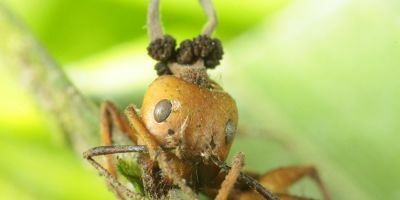 With this data, scientists can ensure the requirements of the audit are met. Also, the drone will help get information from previously inaccessible spots. 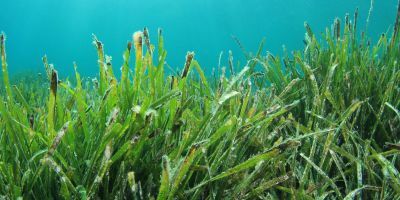 “Flying a [drone] from a research vessel is allowing us to determine wading activity in areas that are inaccessible by survey staff,” Cameron says. For example, the drone will be able to survey areas with limited road access or on shorelines near private properties. The camera attached to the drone takes full-colour and thermal images across the estuarine crabbing areas. The images collected will then be analysed by DPIRD scientists, who are looking for evidence of practices that might pose a danger to bird breeding habitats. Don’t worry, no identifiable data will be obtained from these aerial snapshots, so your face shouldn’t end up online somewhere! At the moment, there is only one drone flying around. According to Cameron, the plan is first to determine if using drones actually works. If it does, we may see more of them.